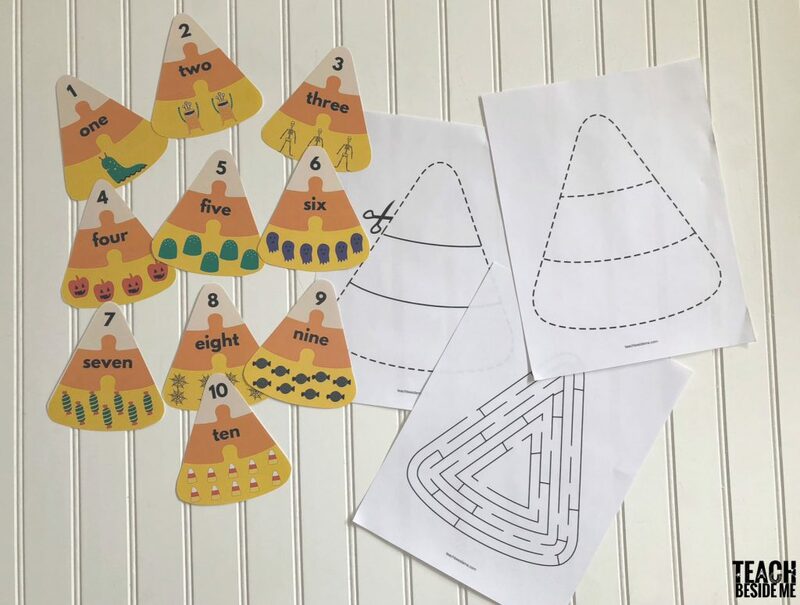 This Candy Corn printable comes with 10 candy corn puzzles. 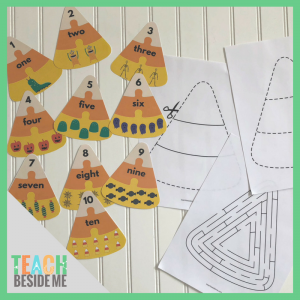 Also included in this printable are a couple of other cute little candy corn activities: a candy corn shaped maze, as well as candy corn tracing, coloring and cutting pages. This is a printable PDF file, not a physical product. You will receive an email with your download link once your purchase is complete.